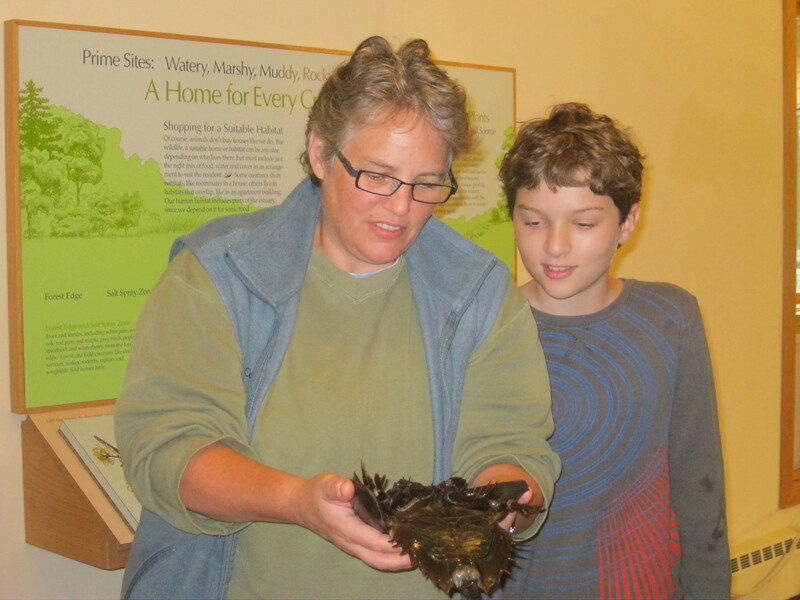 Last week I had two encounters with clawed sages that both excel in adaptation, survival and ecological recycling. 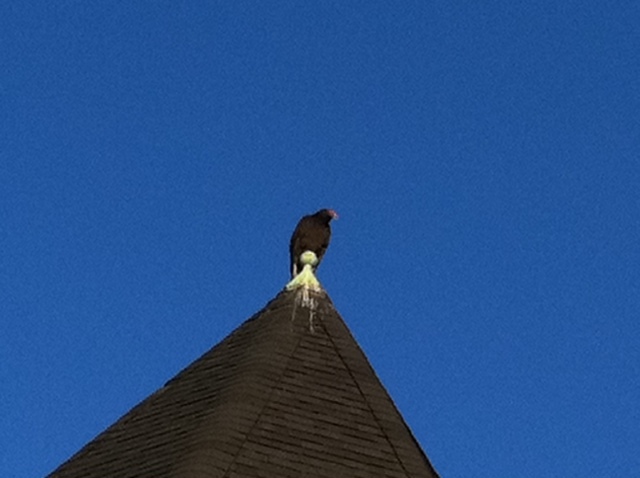 This venerable turkey vulture lives in the Prospect Hill Park the crowns Waltham… and she regularly perches on the house turret across the street from my house. She sits, gazing down from the highest perch in the neighborhood, watching without malice, ready to swoop into urban clean-up duty. We also ran into this magnificent living fossil at the wonderful Great Bay National Estuarine Research Reserve in New Hampshire. 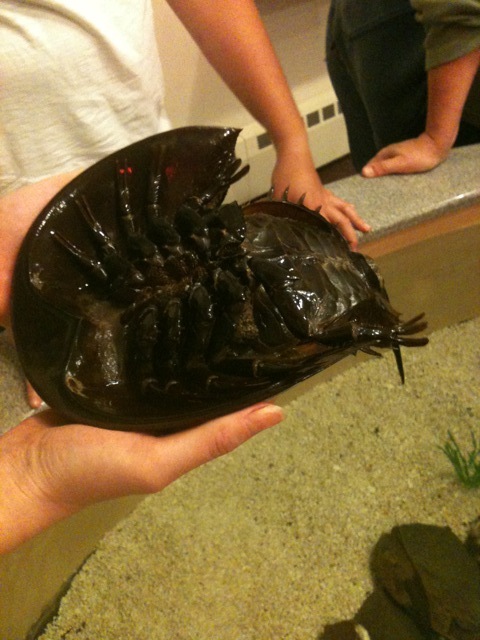 These horseshoe crabs, we learned, actually play a crucial role in keeping the numerous bays in New England healthy. They act as an efficient water filtration system, feasting on water contaminants that would otherwise overwhelm the ecosystem.